Next very convenient addition will be "Scene pack". 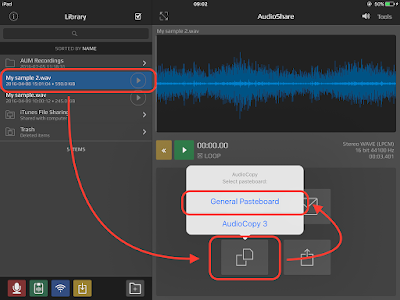 With this feature you can pack several scenes and that is most important all sample files which these scenes use in the single file. You can send this pack to another devices or share it with all (or with someone). 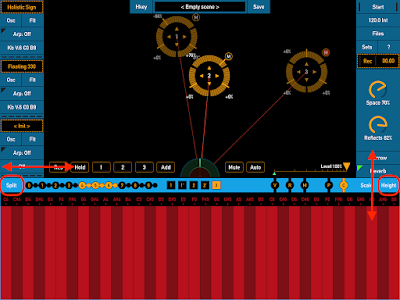 Scenes pack can be downloaded by using Dropbox, Web access service or through iTunes file share. 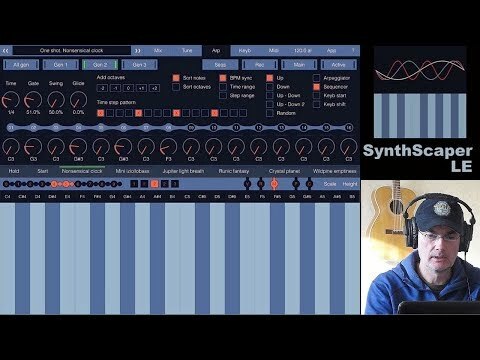 Epic space soundscape with SynthScaper! 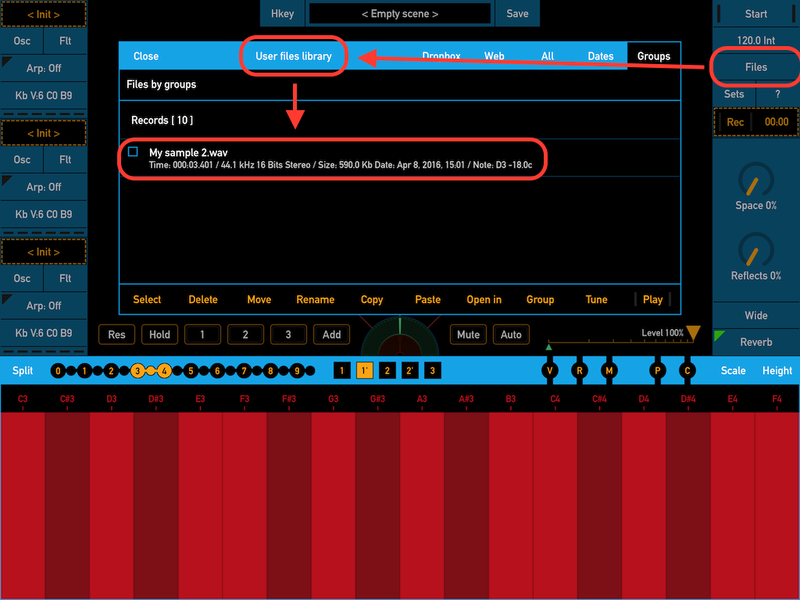 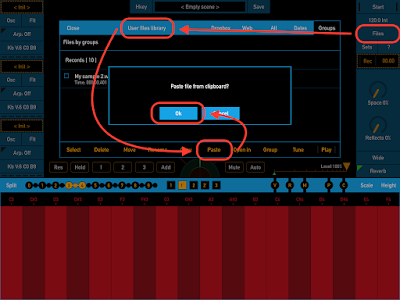 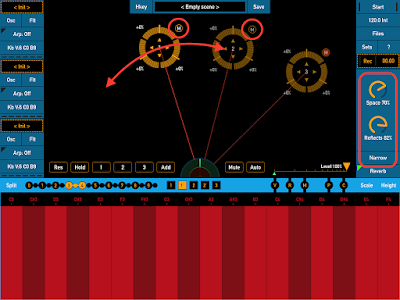 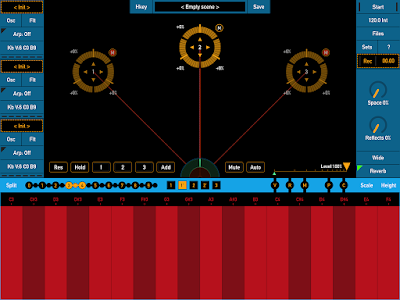 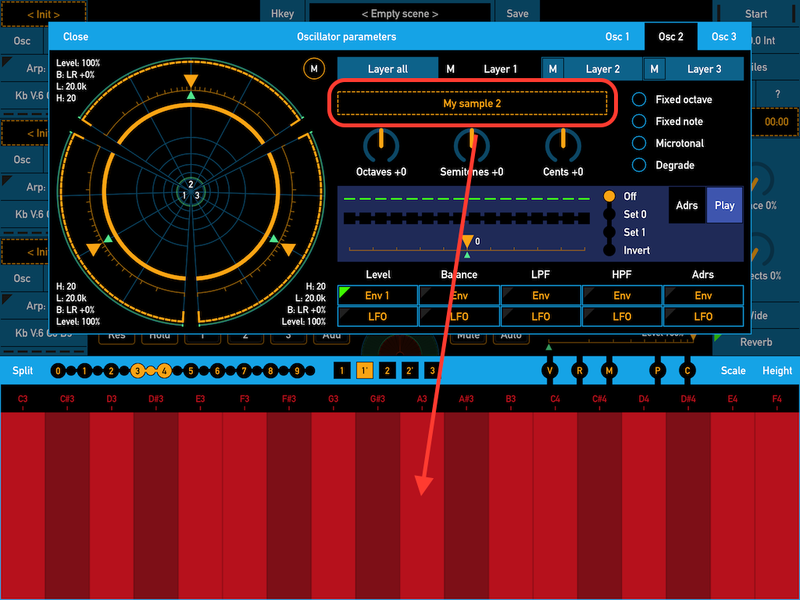 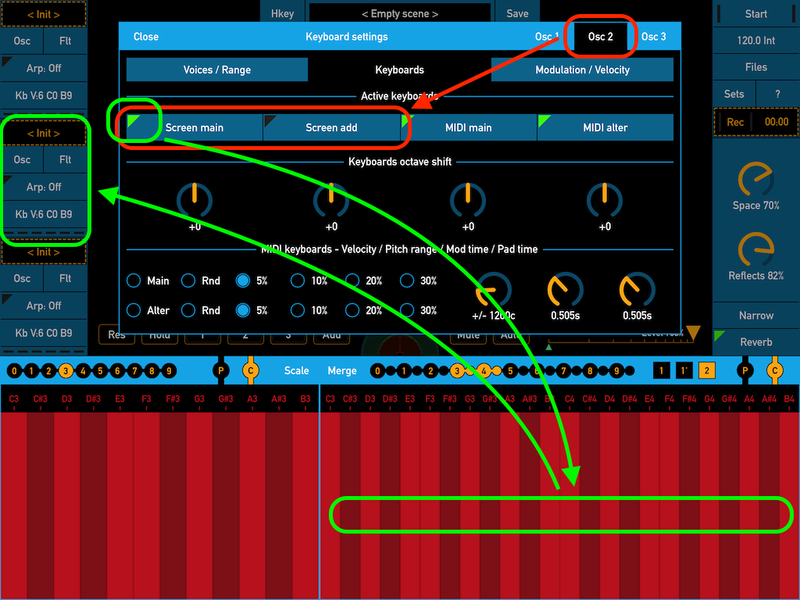 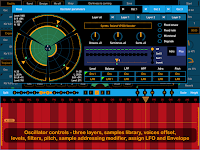 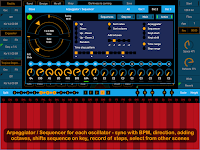 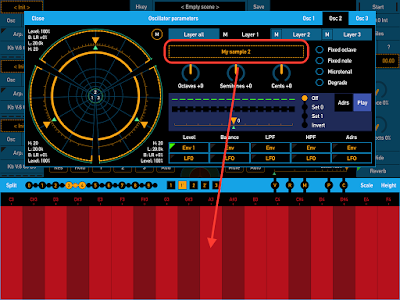 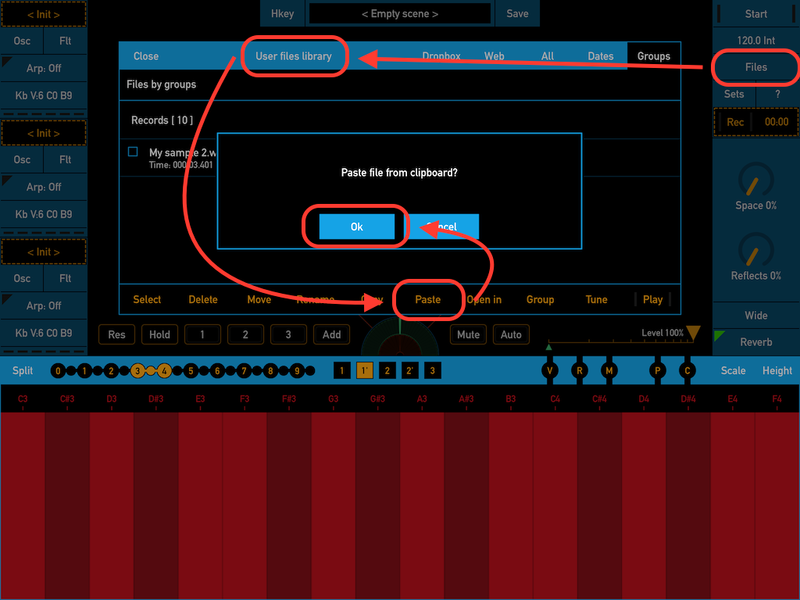 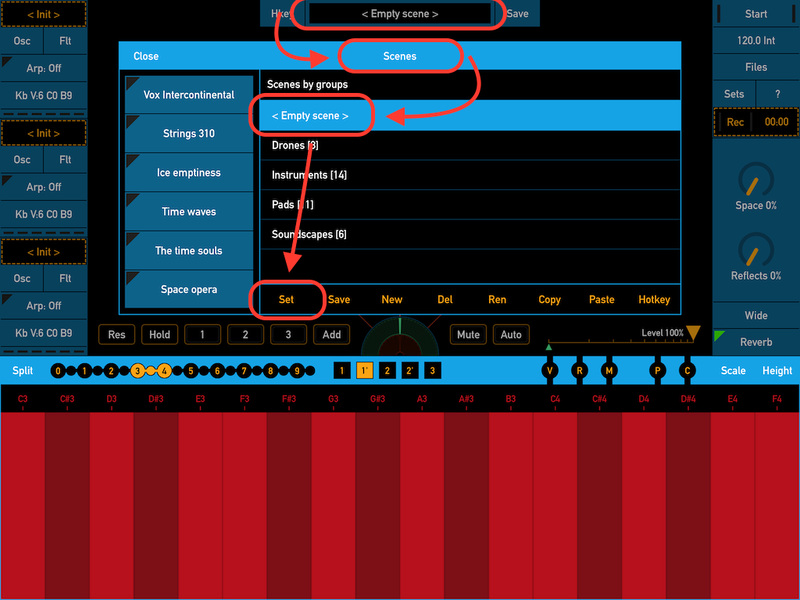 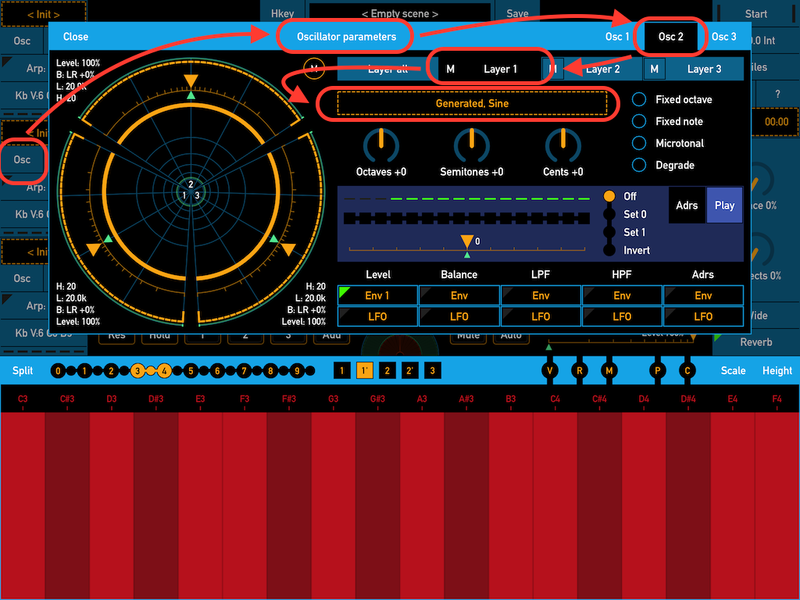 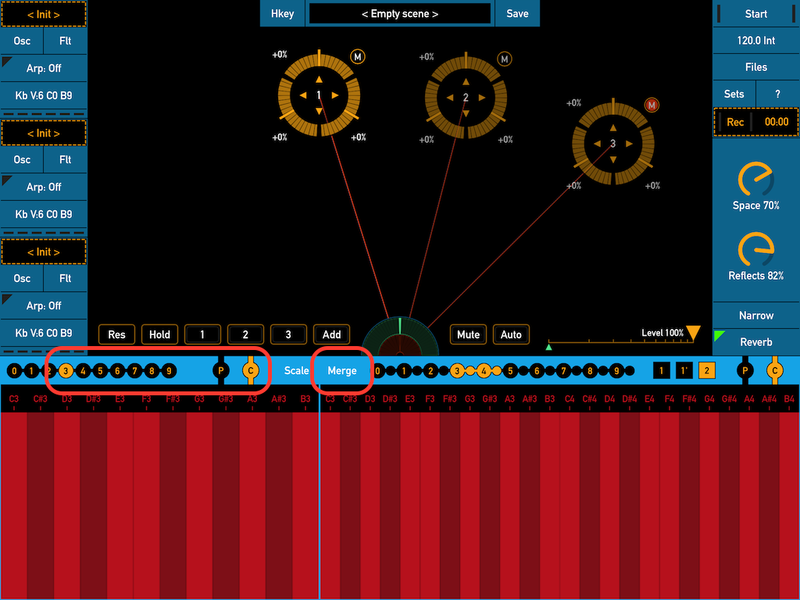 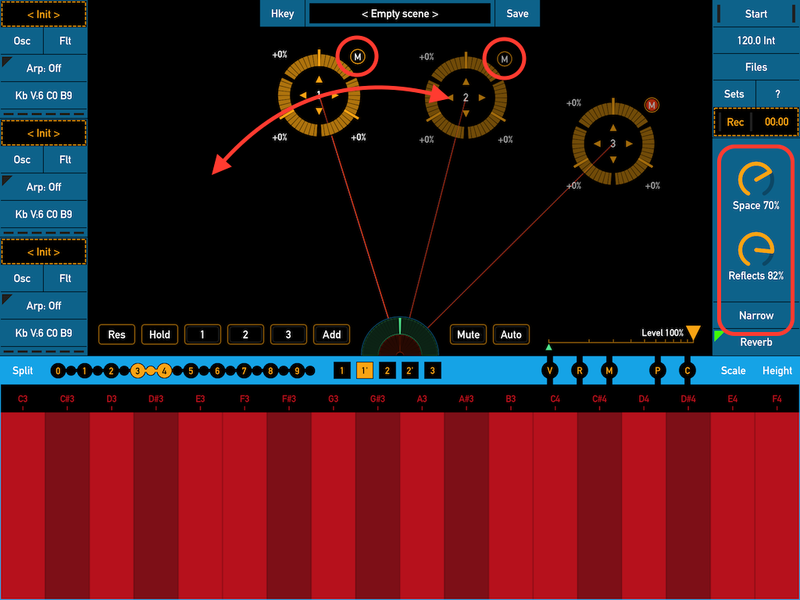 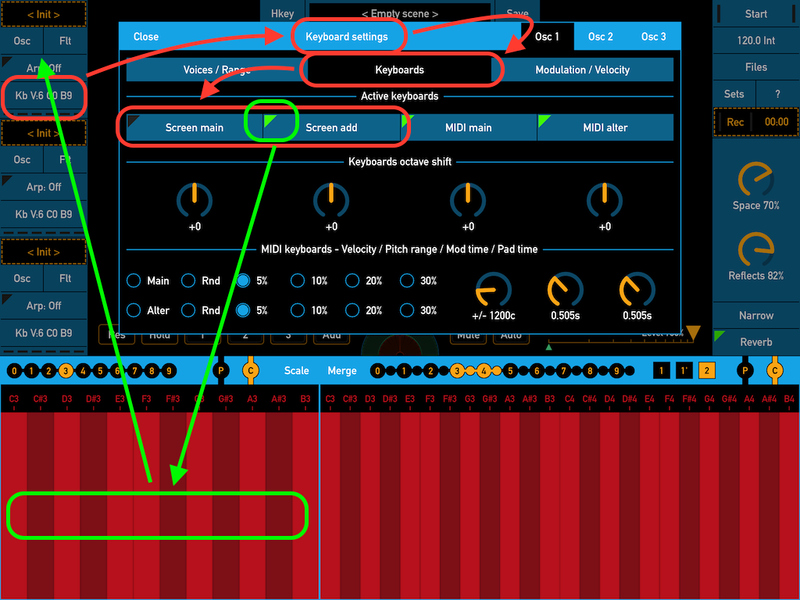 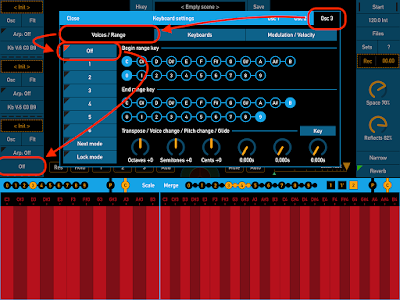 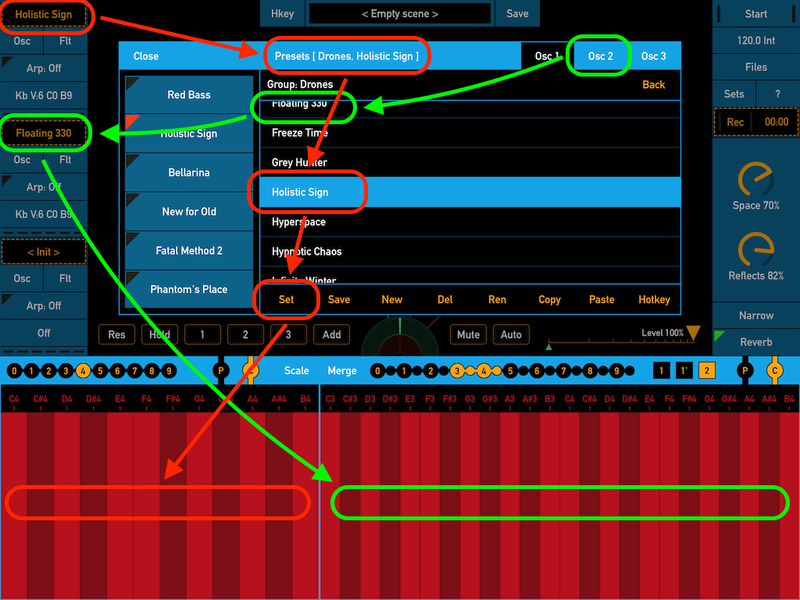 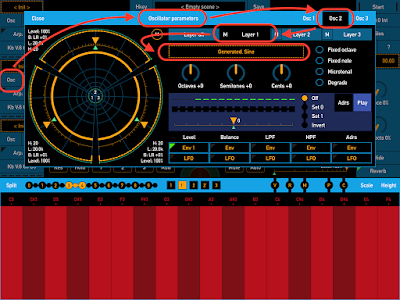 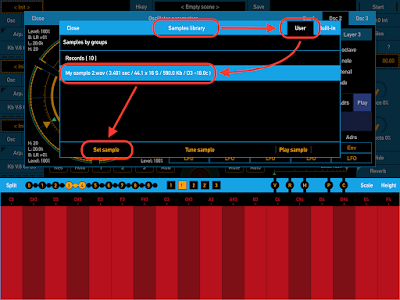 If you would like to know more about SynthScaper and learn to make the most amazing sounds with this app, besides description you probably will be interested to know what is inside of this app. This is diagram of connection modules inside of SynthScaper. 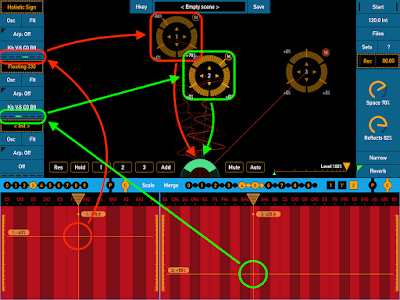 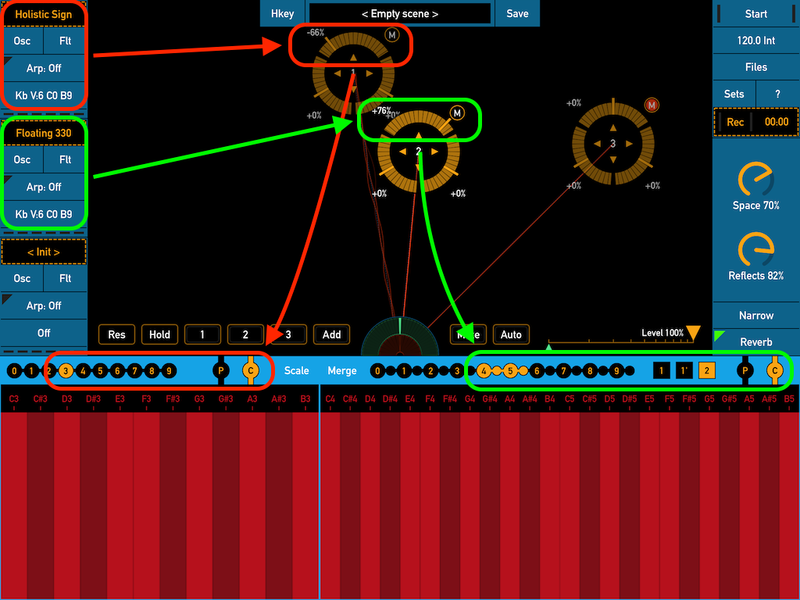 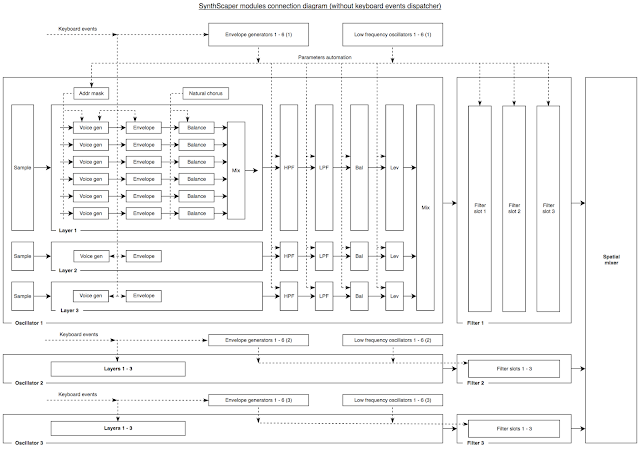 In this diagram shows all modules related to generating and processing the sound (without keyboard events dispatcher). This can help you to understand how the internal modules connected and interact with each other. In this track the SynthScaper sounds great together with another app. 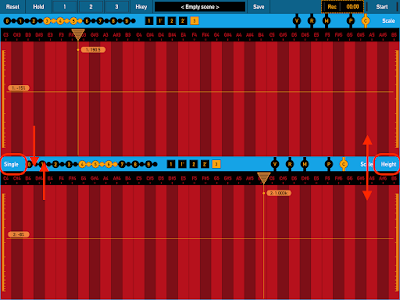 This is exactly what SynthScaper was created for. 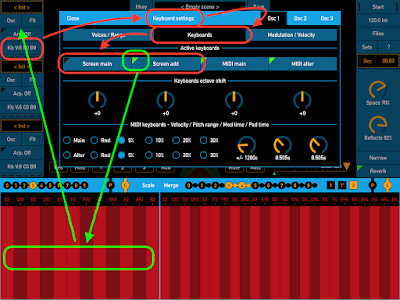 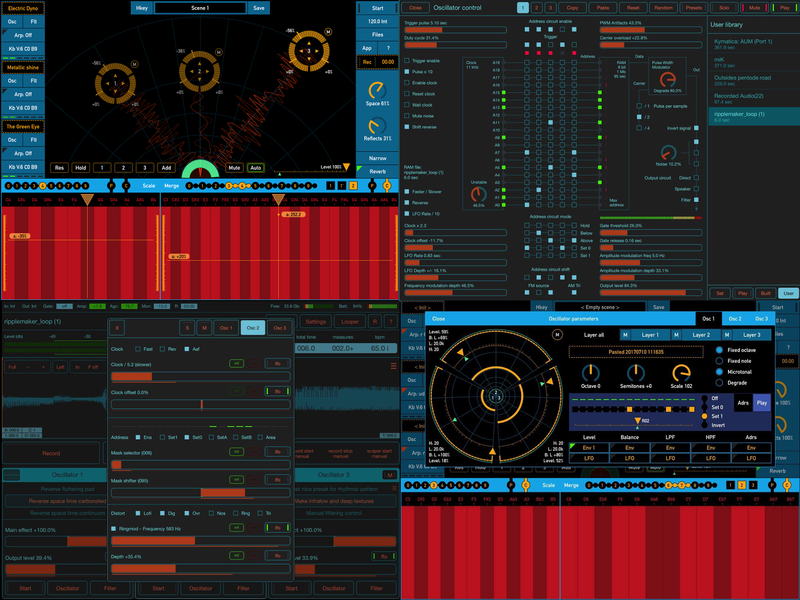 SynthScaper requires a quite enough CPU performance for processing when all oscillators and all voices are active. 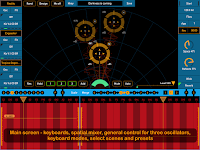 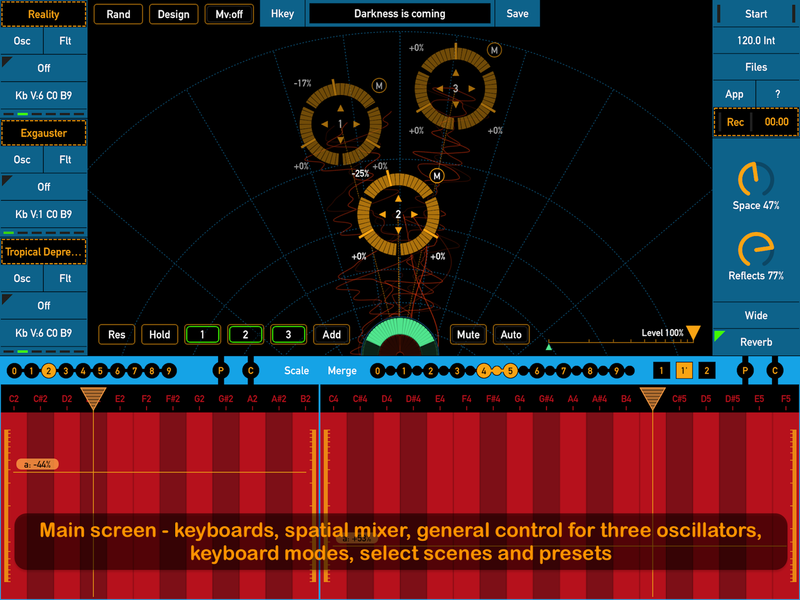 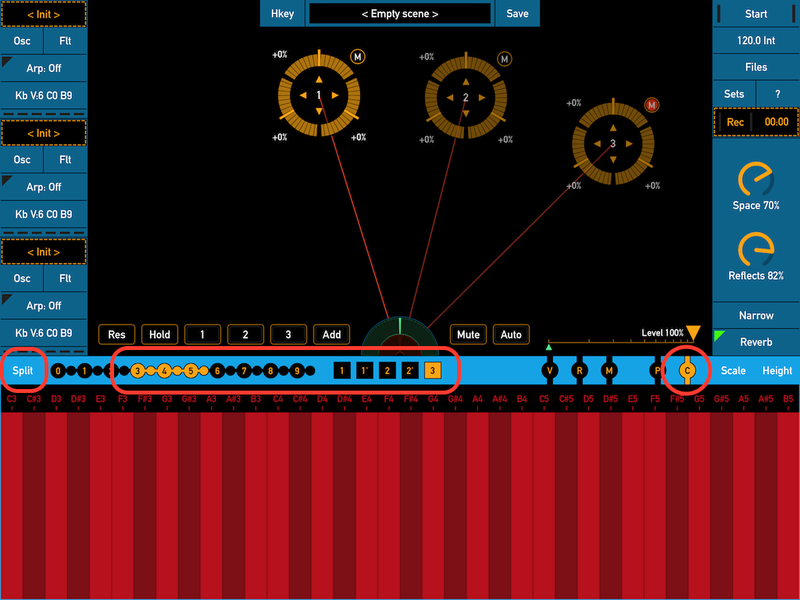 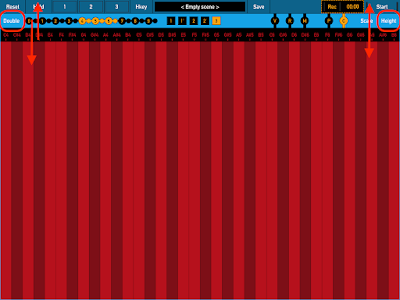 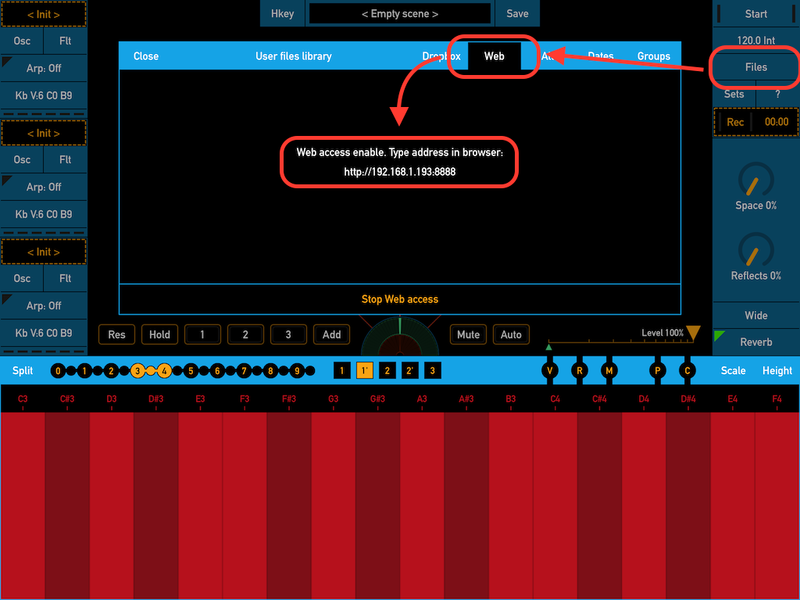 At the maximum using it will be 3 osc x 3 layers x 6 voices = 54 voices. 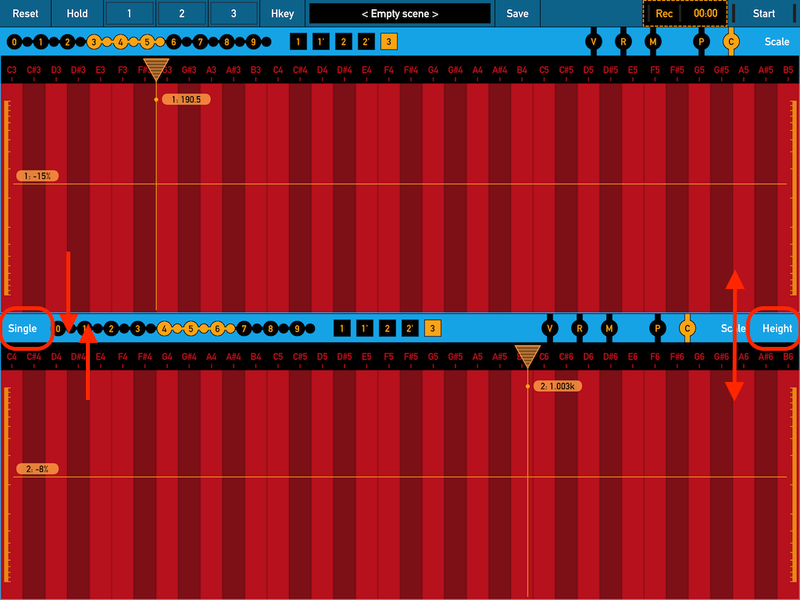 And can playback up to 9 samples (3 osc x 3 layers) at the same time. 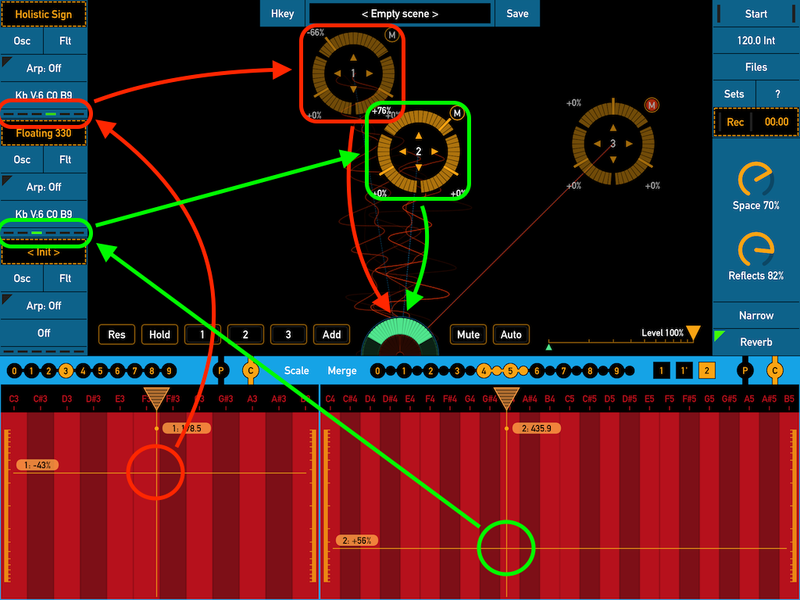 And also filters, lfo and envelopes for each oscillator. 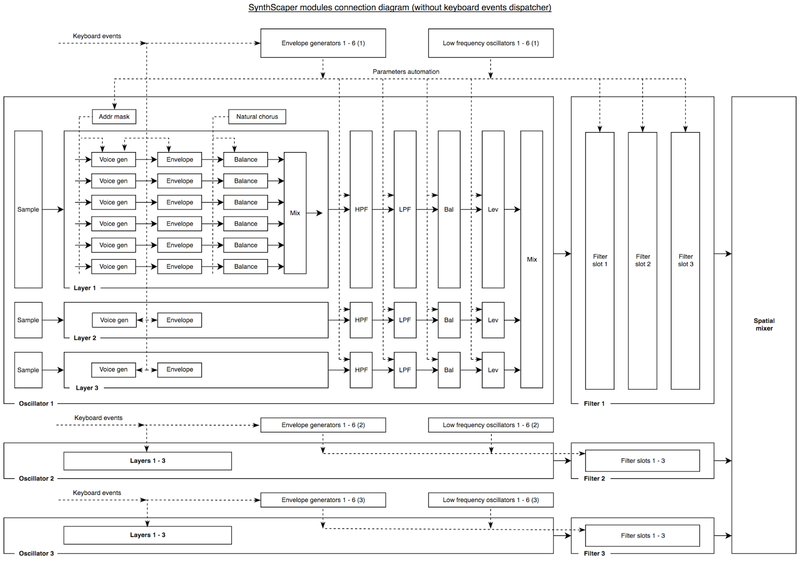 That's a lot. 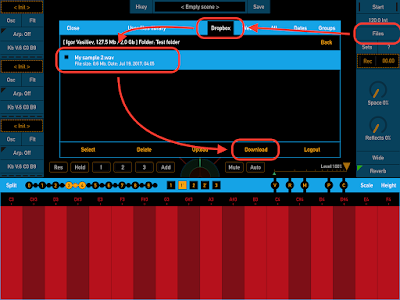 Therefore this app can works only on 64 bit devices. 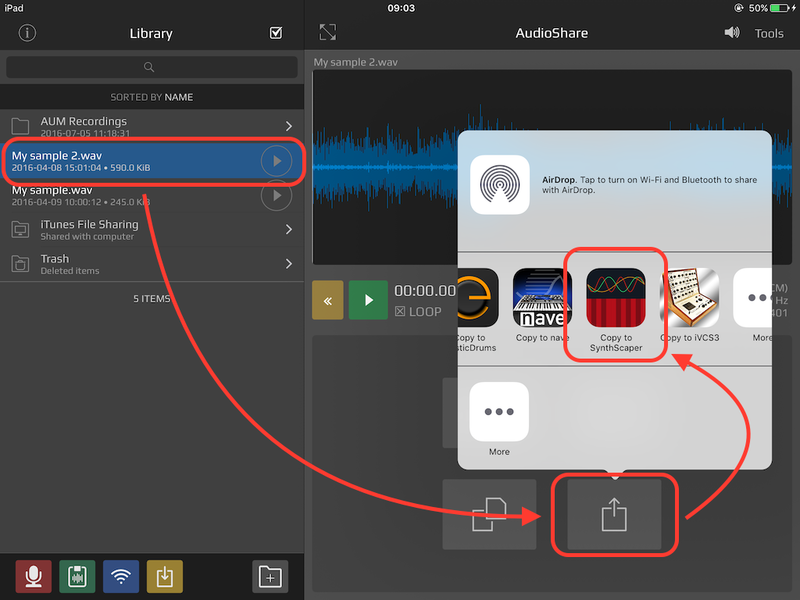 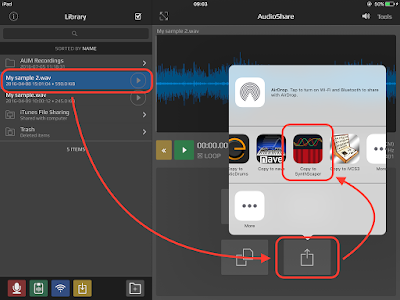 I recommended use at least iPhone 6 / iPad Mini 4 / iPad Air 2 and higher because CPU A8 / A8X is enough not only for this app with maximum use but also for work with several another app at the same time thru Inter-App audio. 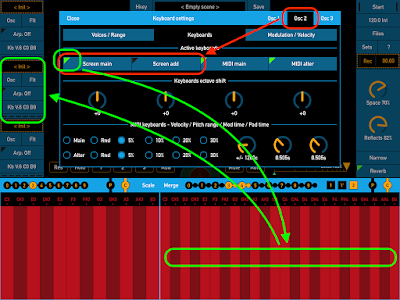 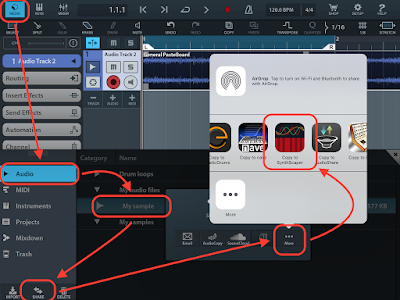 But you can start SynthScaper even on first 64 devices like iPad Air / iPad Mini 2 or 3 with CPU A7. 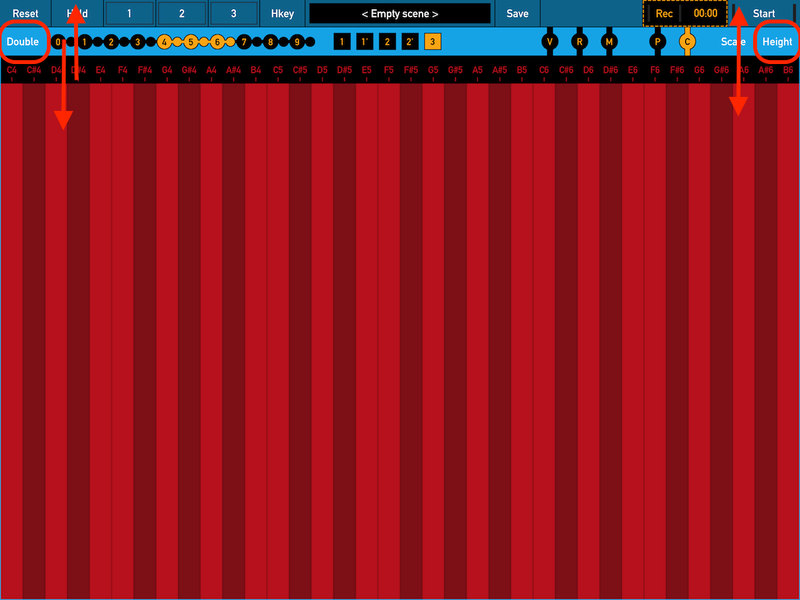 It will works. 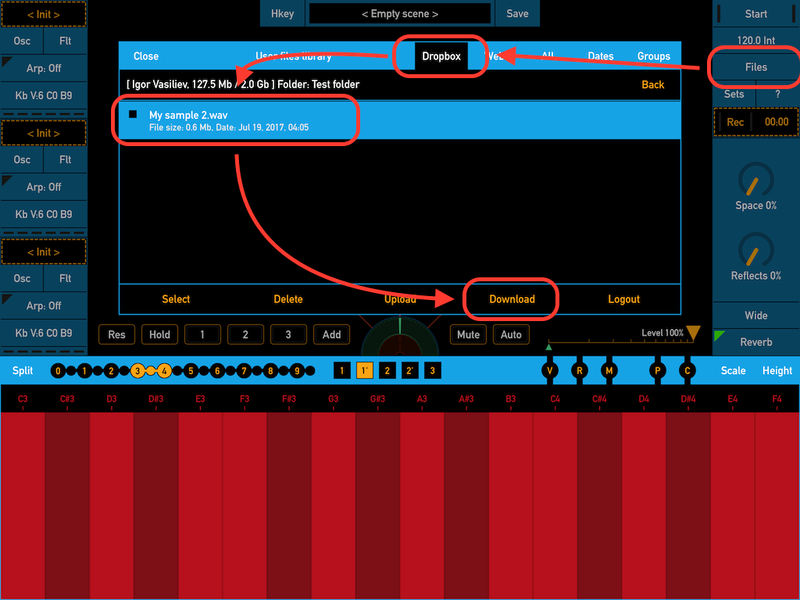 But maybe you will need change some settings in this app for performance optimization especially when you use it with another apps. 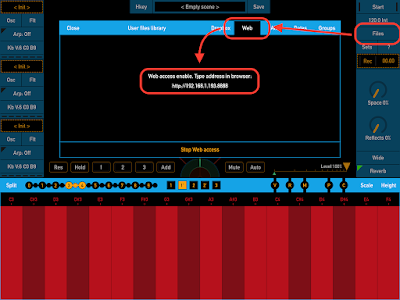 Please read built-in description (use button "?" 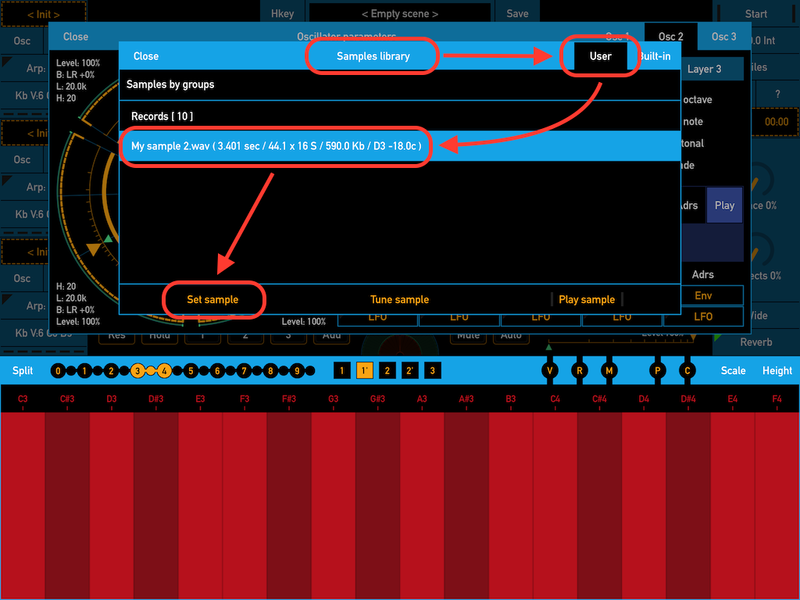 on the main screen) section "About" - "Performance optimization". 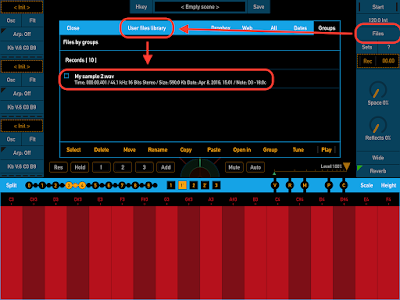 For all other devices info from this section also will be useful. 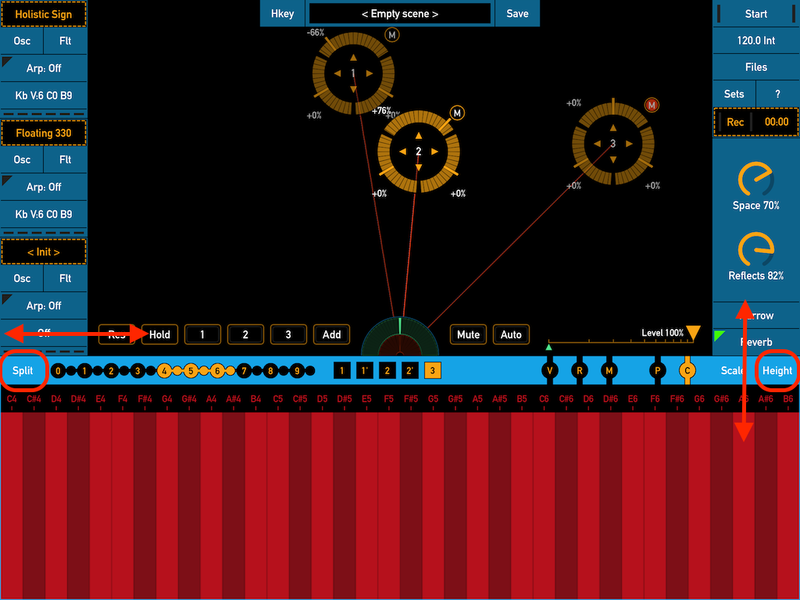 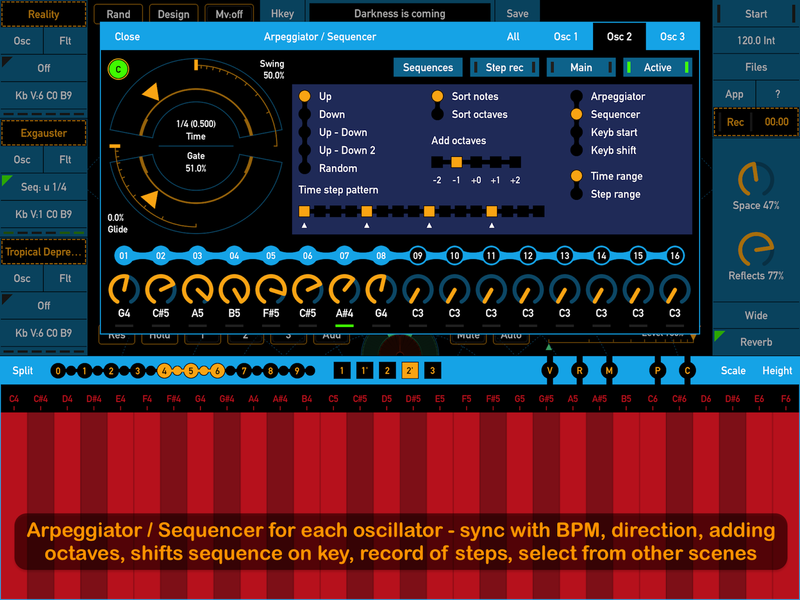 Arpeggiator / sequencer for each oscillator. 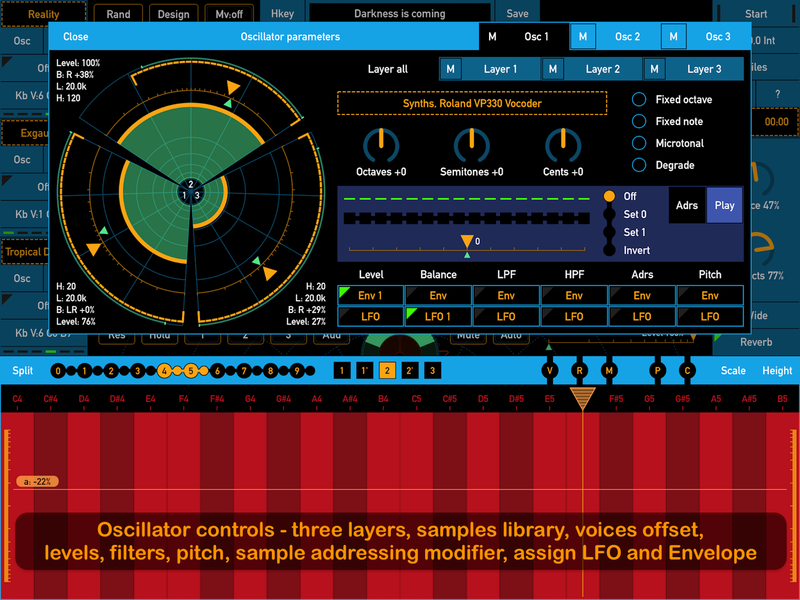 Designer tool for generate scenes and presets.